What makes a legend? It’s all in day’s work for Diana Ross. Superstar singer, actress, mother and businesswoman, Ross is still working and thriving when others would simply rest on their laurels. Here, in an exclusive, she reveals her secrets to success, musings on the Supremes and flying solo. It has indeed been an extraordinary journey, filled with light, darkness and all points in between. As Ross shares her captivating stories, all are transfixed. Yes, it’s really her. Soulful is an understatement of what continues to make Ross the Star. Ross also notes her introduction to Motown during her teenage years. While singing came naturally to her, meeting Smokey Robinson, who lived right down the street from the Ross family, may have sealed the deal. “Smokey had already succeeded at recording music, and it made me feel that if he could, then maybe Icould,” she muses. “Then my family moved to the Brewster projects where I met Mary Wilson and Florence Ballard, and that was really quite the experience because we started as the Primettes before we became the Supremes,” she says. And the rest, as they say, is pop music history. For Winfrey, like so many others, that pivotal appearance of talented and beautiful young black women appearing in the public arena for the first time was like a shot heard ‘round the world. After an initial stall, with eight record releases that went nowhere since the group first formed in 1961, the Supremes scored their first Number One hit with “Where Did Our Love Go” the same year of their Sullivan show debut. Then, almost every song they released thereafter rapidly found its way to Number One on the Billboard pop charts. With 12 Number Ones and a whopping 18 Top Ten hits for the group, America fell supremely under the group’s spell. Supremes-inspired clothing, paper dolls, lunchboxes and an array of other merchandise followed. The world, it appeared, was their tune-filled oyster. Songs like “Baby Love,” “I Hear a Symphony” and “Back in My Arms Again,” along with the colossal hits of the Four Tops, The Miracles, The Temptations and myriad other hit-making performers were courtesy of the newly formed Motown label. All the groups were optimistic and captured the spirit of change. Berry Gordy, the label’s founder, would call the company the Sound of Young America. Gordy made sure each group inspired not only its fans, but also onlookers across the world with his savvy control over how the acts looked, danced and performed in public. 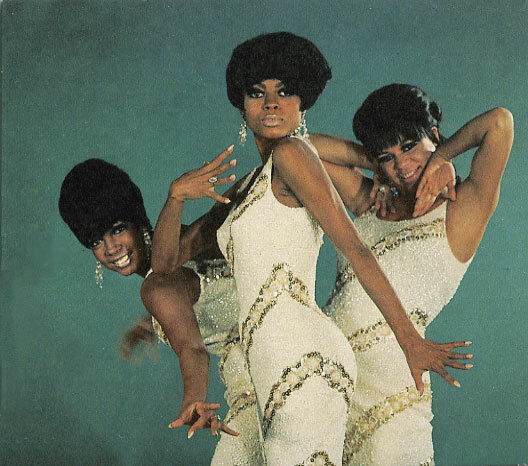 Their polished appearance was hard work that paid off—especially for the Supremes. Gowns of satin, sequins, fur and feathers—some designed by Bob Mackie—were never too elaborate. Concerts, television appearances and fan magazines following their every move proved that America bought what the Supremes and Motown was selling: glamour, glitz, soul and the high life. Of course, there is no denying that the Supremes’ success laid the foundation for Diana Ross’ road to further superstardom. “Becoming a solo artist required a commitment and an intention to create a new direction,” Ross confides. “It was time to listen to my heart and move forward to a positive future. I felt that it was my time to take control of my own destiny. And, that is not always easy.” Her solo career, in which Motown heavily invested, continued to skyrocket with her first two releases, “Ain’t No Mountain High Enough” and “Reach Out and Touch (Somebody's Hand)”—both catapulting to Number One on the charts. Balancing life with concert appearances, in 1971, Ross found time to marry Robert Silberstein, a pop-music manager with whom she had three daughters, Rhonda, Tracee and Chudney. After remarrying Norwegian financier Arne Naess, Jr. in 1985, Ross had two sons, Evan and Ross Arne Naess. “Being a mother means everything to me. Everything. My children are my life,” Ross shares. “There are a lot of difficulties in being a celebrity and trying to raise children. I feel like I am a private person in a public life. Raising five children requires keeping your priorities and values in the right place.” In between it all, as if a superstar recording career and a bustling family was not enough, Hollywood called with opportunity, and Diana Ross took that call. “Being an actress and making a film was a new experience for me, but only difficult because it was different,” says Ross. “I had to find my own method of study, my own way of researching and preparation.” Like singing, Ross never took an acting lesson. “The commitment is key,” she offers. “I think one important ingredient was that I always listened. Being an actress requires knowing your instrument very well, as if you’re playing a violin. To be an actress there are two words: commitment and discipline. That got me a nomination for an Academy Award™,” she reveals. After stepping back from the movies, Ross recreated herself yet again in the mid 1970s as a disco dance diva. “Love Hangover” and other hits from the wildly successful album, The Boss, which included such hits as the song’s title track, “I’m Coming Out and “Upside Down” became the anthems of the “Me” Decade. Ross sang about fun and freedom, and all her fans responded to her in droves. As the 1980s began, she sang theme songs to the eponymous hit movies, “Endless Love” and “It’s My Turn.” The concert and talk show appearances and the television specials were non-stop. Hit releases like “Mirror, Mirror,” “Missing You,” “Why Do Fools Fall in Love?” “Swept Away” and a plethora of albums would keep Ross in the limelight through the 1980s and well into 1990s. No matter the diva stories one might hear, Ross’ theory was that the more she “reached out and touched,” the better the world might be. She learned well from her mentors. “I got the chance to sing with Marvin Gaye, The Temptations, Ray Charles and Stevie Wonder,” Ross recounts. “I have always been able to learn what to do and what not to do from these talented artists,” Ross recounts. She certainly worked her own mentoring magic on the Jackson brothers. 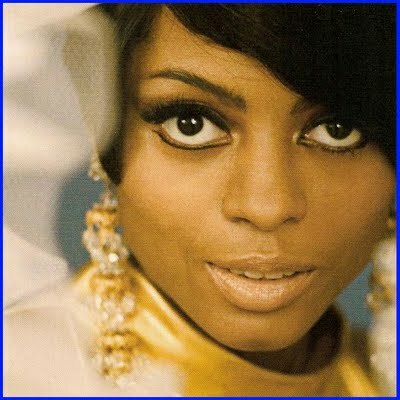 Most don’t know that Diana Ross was integral to the Jackson Five’s singing success. The Jackson Five was the group of brothers that moved Motown’s Berry Gordy to famously term their music as soul bubblegum. Over the course of the Brilliant Lecture Series, Ross has been as revealing as a star gets, constantly enthralling and encouraging her audience. “Image is very important—it’s about how you present yourself,” she asserts. “Bur, inner beauty is more important to me than outer beauty. Being beautiful has become a business. There are those who judge you for how you look, as beauty has become a competition. To me, good health, dignity, aging and wisdom radiates as beauty.” One fact remains—there is no disputing the inherent beauty of Ross’s illustrious singing voice. Her latest album, I Love You, released in 2007, pays homage to classic love songs, handpicked by Ross. The lady still has what it takes and there are no signs of compromise in her soaring voice. Diana Ross points out what means the most to her and her continued success. “Here is a list filled with some of the lessons that I have learned on my quest to make a difference,” she says. It’s important to define what matters most. What do you want? What do you need? Ask the right questions and continue to change those questions. Ask why. Ask why not. Write out your goals and aspirations. Listen to the heart. Opportunity knocks softly. Check your timing and discipline.